ARGENTA 96/384, is a fully automated, affordable and easy-to-use liquid handler. 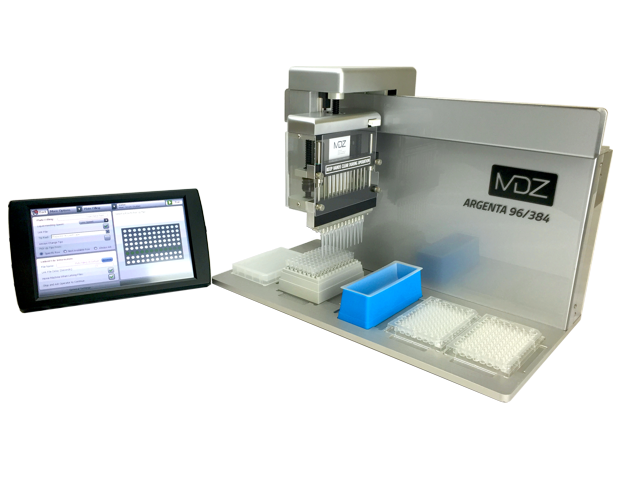 Save time and remove human error with consistent and reproducible pipetting and sample preparation! Excellent precision, speed and performance in an ultra compact footprint. From simple plate fillings to complex protocols, ARGENTA is a budget-friendly solution for your lab!